Medic alert jewelry doesn’t need to be so…clinical. If you have a potentially life-threatening condition that needs to be communicated to caregivers in case of an emergency, doctor it up with a birthstone, charms, beads, or some color while still keeping the important information front and center. You are so much more than a diagnosis or label, but make sure you’re protected. A diabetic bracelet is pictured, but it can easily be customized for any health concerns, including food and drug allergies, heart conditions, autism, epilepsy, or any other critical issues where special notification may be needed. 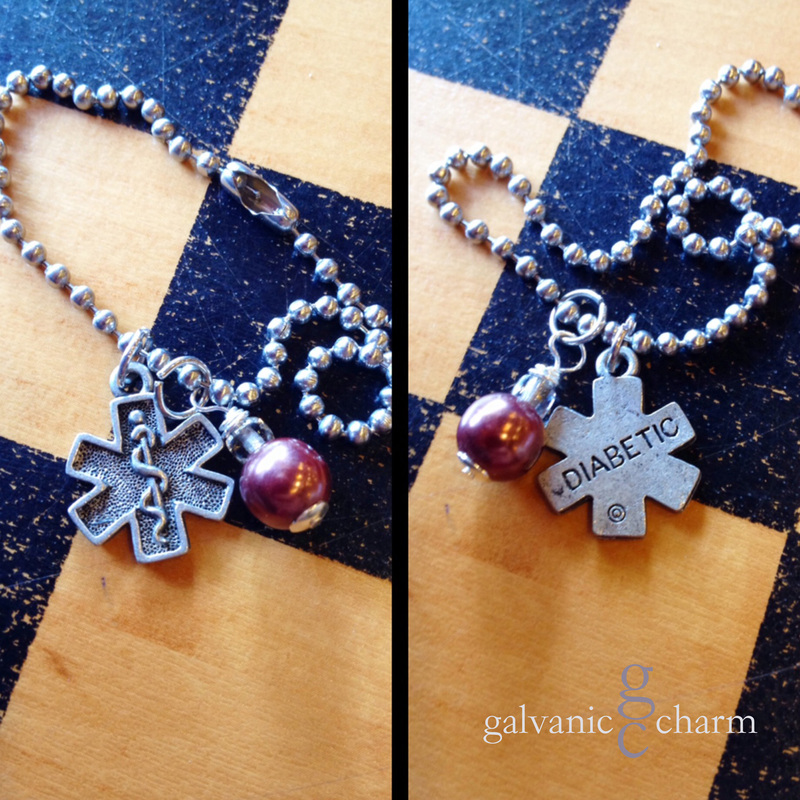 DIABETIC – Wristlet with pewter diabetic medic alert charm, accented with a wire wrapped metallic nutmeg colored pearl. 7″ stainless steel ball chain (adjustable). $15 as shown. Available directly or on Etsy.